The J24 fleet was out in force for last weekend’s J24 Nationals. 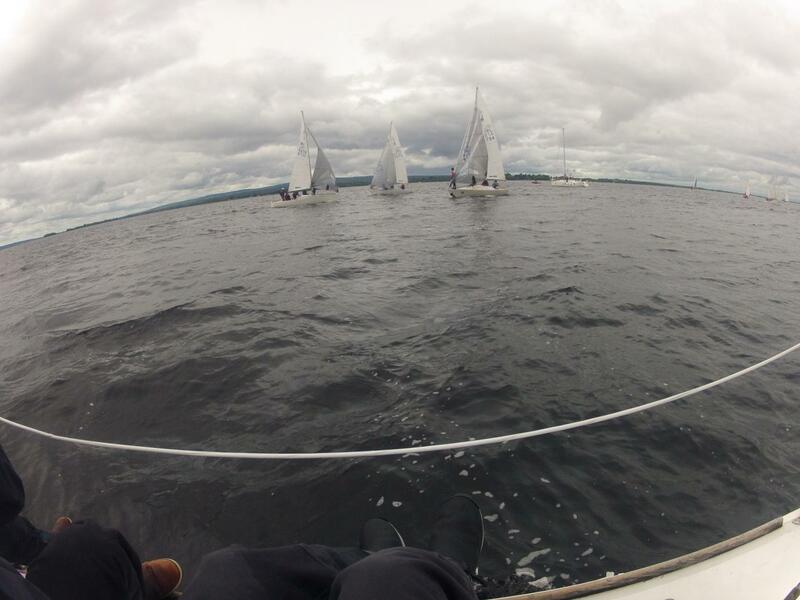 The event, which was held in Lough Derg Yacht Club, saw 13 boats coming from all parts of the country to compete. 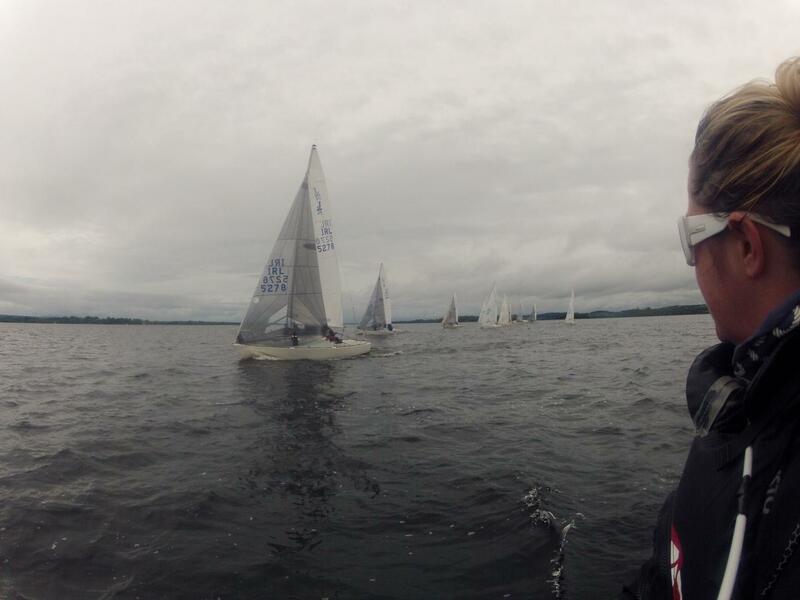 With 13 J24s on the start line, it was sure to be an interesting and competitive 9 races. Perfect sailing conditions were forecast for the first day of racing all sailors were eager to get to the race course and sail the first beat before the starting gun. 10 boats opted for Jib as the strong gusts made sailing upwind more manageable. The first of the three races went off without any faults. Kilcullen, the under 25 team from HYC, secured first place, closely followed by Jamais Encore and Hard on Port. With some of the most competitive racing the fleet has seen all season, mark roundings were tight and crowded, as two of the boats quickly realised. Winds began to build as two of the top boats Jamais Encore and Hard on Port raced to make it around the top mark on the first beat. 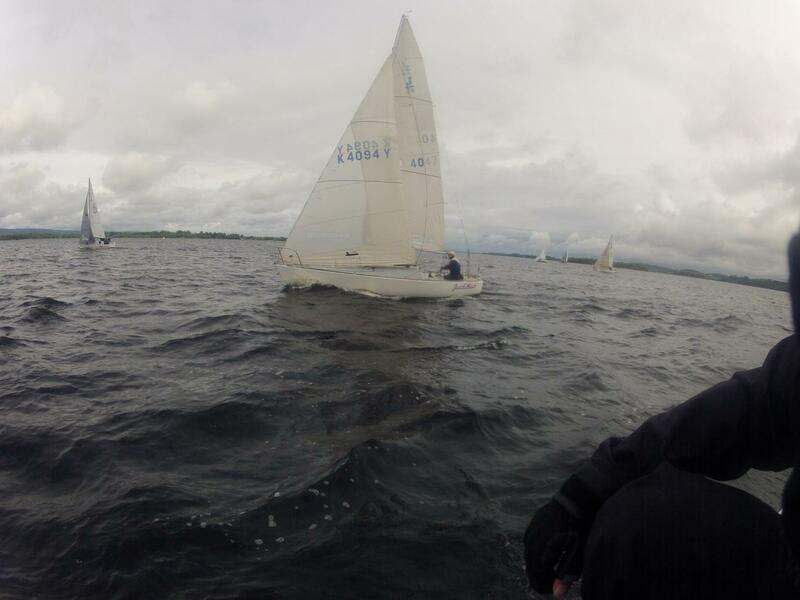 With Jamais Encore in the lead by less than a boat length, Hard on Port failed to duck enough and a collision ensued. Both boats were forced to retire as damage needed to be repaired. With Hard on Port taking on water at the bow and Jamais Encore without a push pit, it was unclear if they would make it out of the second day of racing. Kilcullen sailing was second to none as once again they finished first over the line for the second and third race, with HamiltonBear close on their tail finishing second in race two and three. Unfortunately on day 2 sailing was postponed on the race course and all sailors waited in anticipation for the wind to fill in. Many sailors took this time to sleep off the sore heads from the night before and wondered if the crew from Hard on Port would make it out for sailing. With luck on their side a boat could be seen motoring out to the race course from the distance, as the boat got closer it was clear to see the team on board Hard on Port were back in full force and ready to make up for lost racing. With the repair and two perfectly placed BMW decals from a past event, the old Italian could be seen to have a new face. Much to the fleets dismay all boats were sent ashore to wait further instructions from the race officer. At 18:00 it was clear to see that no racing would be held and the days racing was abandoned. On the third and final day of racing the sounds of flags being caught by the wind was a welcomed noise to the fleet. With the wind building throughout the day and heavy rain expected all sailors were in full gear and ready to face the day of racing, some to defend their place within the fleet and others hoping to gain a place or two. The first race of the day went without any mishaps. Two past champions Kilcullen-Eurocarparks and Hard on Port battled it out on the race course for first place with Hard on Port securing its first victory of the event, while Kilcullen finished a close second followed by Jamais Encore in third. The crew on board Scandal were forced to retire early from racing as they lost a halyard up the mast. 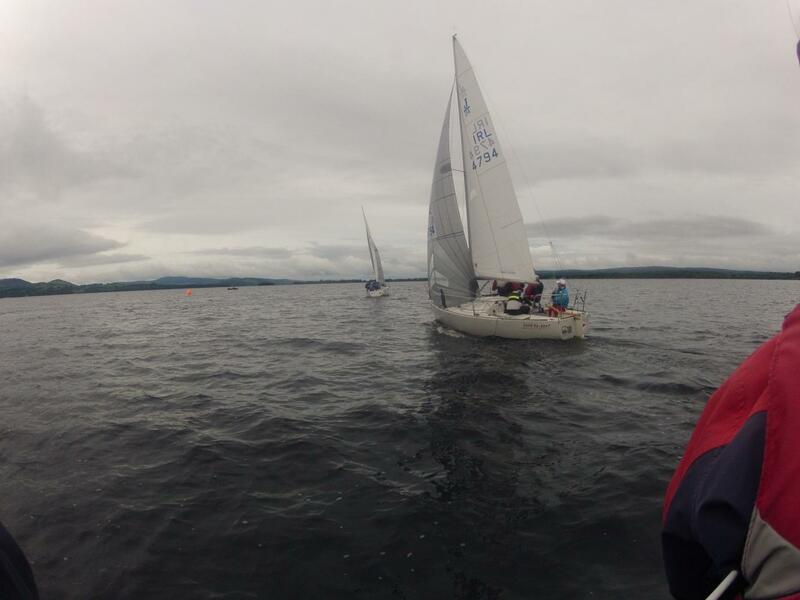 After a competitive day of racing Kilcullen came out on top as the J24 National Champion of 2015. With HamiltonBear in second and Jamais Encore finishing in third within the Gold Fleet. In the Silver Fleet YaGottaWanna came out in first with a lead of 5 points on second place Jumpin’ Jive and Johnny Bravo finished third within the silver fleet.